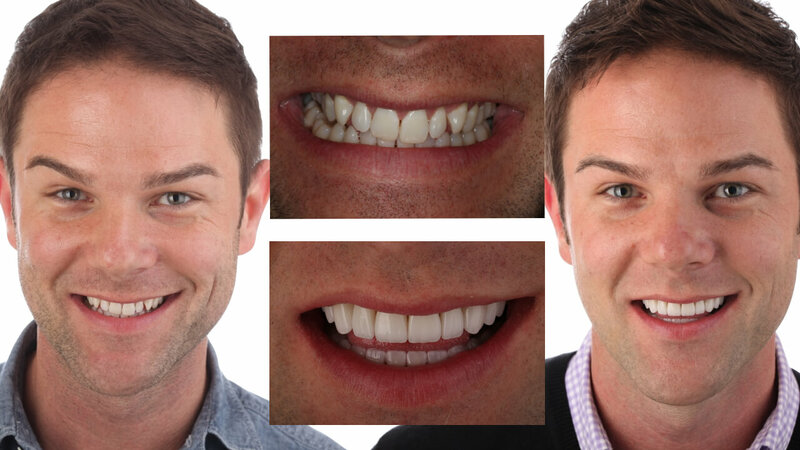 I had to share this incredible series of blog posts by my friend Dr. Jason Olitsky where he looks at the common mistakes in esthetic dentistry! When evaluating the esthetic principles inherent to successful smile design, there are 7 violations that are common and undermine the success of the finished cosmetic case. Here’s one of my top clinical tips for maximizing the outcome of your esthetic cases by instituting a knowledge of facial symmetry into your approach to cosmetic dentistry in the practice. 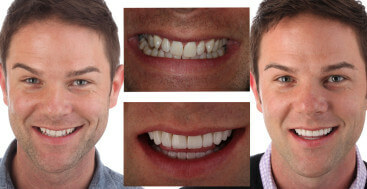 The first violation of smile design is simple yet can have dramatic effects on the perceived success of a restoration: a crooked smile. My primary advice is to recognize that when restoring a smile, dentists must pay close attention to the inter-incisal line, unless they want to deal with the resulting “tipped” appearance of the smile in relation to the face. Keeping these different esthetic principles in mind throughout treatment planning a smile, rather than just at the beginning of the evaluation, is necessary in order to guarantee consistent results. Transfer these esthetic principles over during the process of narrowing the analytic scope of the treatment to mounted models on the bench top. First, start with a solid basis of pretreatment photography so that the patient’s unique facial esthetics can be analyzed. This involves taking in the patient’s face as a whole. Many dentists will become too influenced by common facial asymmetries and lose sight of the true horizontal plane. Second, relate the restorative horizontal plane to a laboratory technician comfortable with utilizing a face bow or digital smile design, as this process during mounting and waxing of the case can lead to drastically improved results. With one or both of these techniques in your cosmetic arsenal, you can be sure that the patient will be satisfied with their smile. Originally Posted on the Clinical Mastery Blog. The patient with the rehabilitated smile has a deviated chin to the right, a deviated midline to the right, and a maxillary inclination with the right side sitting higher than the left. These are all indicative of a short right side ramus. The shortness may have resulted from under growth, or condylar dengeneration. Was the joint assessed for pathology and evaluated for the risk of future change as this may be a cause of long term occlusal instability and failure of the beautifully done aesthetic work?